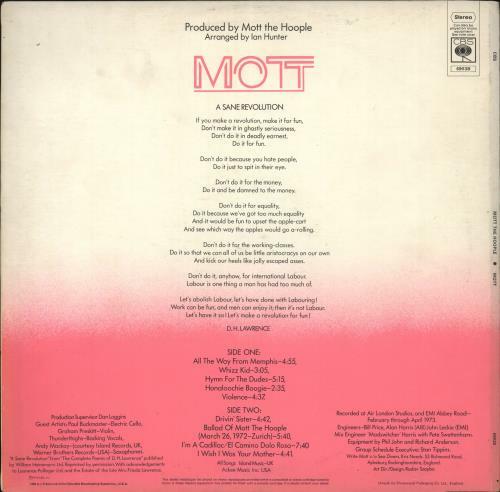 MOTT THE HOOPLE Mott (1973 first UK issue 9-track LP including the classics All The Way From Memphis & Honaloochie Boogie, gatefold sleeve with custom song hype sticker intact & 'A Sane Revolution' poem by D.H. Lawrence on the back, complete with integral statue head PVC sheet & paper lyric inner. The sleeve is VG as it has a small tear in the die-cut edge and there is a little discolouration on the sleeve and inner. The vinyl is EX with just a little spindle wear to indicate play - afantastic play copy). 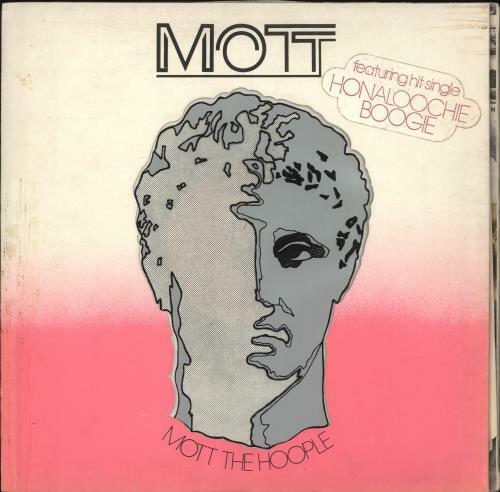 or visit our Mott The Hoople image gallery.